Tax Day can be stressful, but the Arlington Public Library can help you cool off! Kona Ice will be giving away free snow cones from 11 a.m. to 1 p.m. outside the Downtown Library on April 15. Cones are free to anyone. Whether you filed early or are waiting until the last minute, enjoy a treat at lunch time. Kona Ice will be on the west side of the City Center Plaza, between the Downtown Library and City Hall. Patrons can enjoy their cones in the Plaza, in the Library’s first floor lobby, or take them to go. 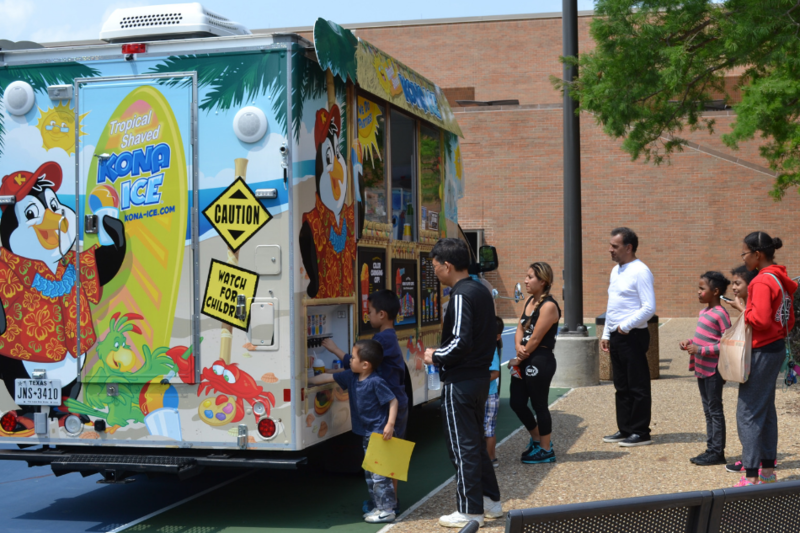 Everyone is invited to celebrate the end of tax season and enjoy a free Kona Ice from 11 a.m. to 1 p.m. on April 15 on the west side of City Center Plaza.